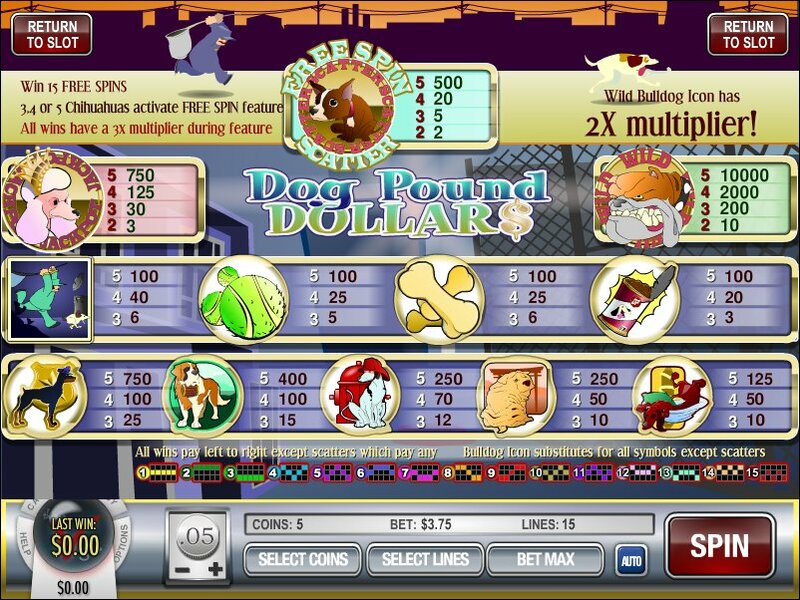 Overview: Dog Pound is a 5 reel, 15 payline Slot machine. Dog Pound has 1 Scatter Icon and one Wild Icon. The Bulldog Icon is wild. This icon will substitute for any other symbol to form winning combinations, other than the Scatter Icon. The Chihuahua Icon is a Scatter Icon. If 3 of these icons appear on the Reels you will receive 10 free spins. The free spins will be worth the same value per spin as the original spin that triggered the free spins. 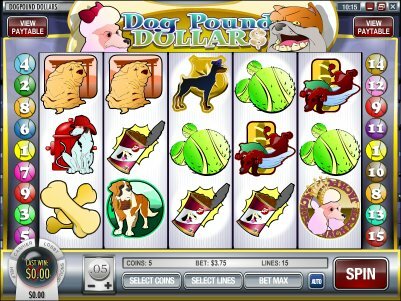 Similar Slots: If you like Dog Pound, you might like these other Rival video slot machines: Grandma's Attic, Lost Secret of Atlantis, Scary Rich, Watch the Birdie, Wheel of Cash.